Popdose Giveaway: Pugwash's "Play This Intimately (As If Among Friends)" On Ruby Red Vinyl! Popdose Giveaway: Pugwash’s “Play This Intimately (As If Among Friends)” On Ruby Red Vinyl! 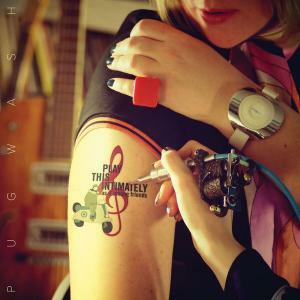 Enter to win Pugwash’s “Play This Intimately (As If Among Friends)” on ruby red vinyl! ADDENDUM: We have a winner! No more calls, please! Ken Simpson claims the prize! Stay tuned to Popdose as we will be rolling out more giveaways in the weeks to come! You could get it by clicking here. But still you wanted more. Well, thanks to the great folks in the band Pugwash and their U.S. label Omnivore Recordings, we have one — count along with me — ONE ruby red vinyl LP ready to give away of Pugwash’s Play This Intimately (As If Among Friends)! The rules are deceptively simple. Send an email to dw.dunphy@gmail.com before this Friday, October 23 (close-of-business). Be the tenth entry with the subject line “As If Among Friends” and you will win this fresh, brand-new poptacular (?) album. Employees of Popdose.com, nor their relatives, pets, or significant whatzits, employees and family of Omnivore Recordings, and employees/family of Pugwash are not eligible. The prize cannot be changed for cash value. Winning entry will be determined by timestamp on email, and whether it is the tenth such submission — one submission per person ONLY. Don’t be a jerk. Winner will be notified by email, after which the announcement of a winner will be amended to this post. Brag if you must, but it is terribly unbecoming.